In exchange for viewing the material on our website, we ask that you allow us to add you to our mailing list. By subscribing with the form on the left, you will receive our monthly discipleship publication, The Messianic Life, absolutely free. You may also receive periodic mailings from Perfect Word Ministries. Your information will be kept completely confidential and will not be sold or given away to any other organization. If you are already a subscriber to The Messianic Life, please complete this form again to gain access to issues online. 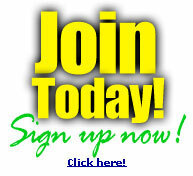 Members of MessiahNet.com will also be added to our mailing list and will receive The Messianic Life. MessiahNet is a safe, healthy, messianic online community with many members benefits, including full access to online discussion areas. MessiahNet membership is free. We invite you to sign up today! If you are outside the U.S., completing the form above or joining MessiahNet.com will give you full access to our websites. Unfortunately, because of the costs of mailing outside the U.S., we cannot add you to our mailing list at this time. If you would like to receive the printed version of The Messianic Life in the mail each month, we ask that you please consider a becoming a monthly partner of Perfect Word Ministries to help offset the costs of mailing. Thank you! login info to access Messianic Life! ©2003-2004 Perfect Word Ministries  All rights reserved.